Employee attendance is important when running a business, so make sure that your employees abide by company rules. 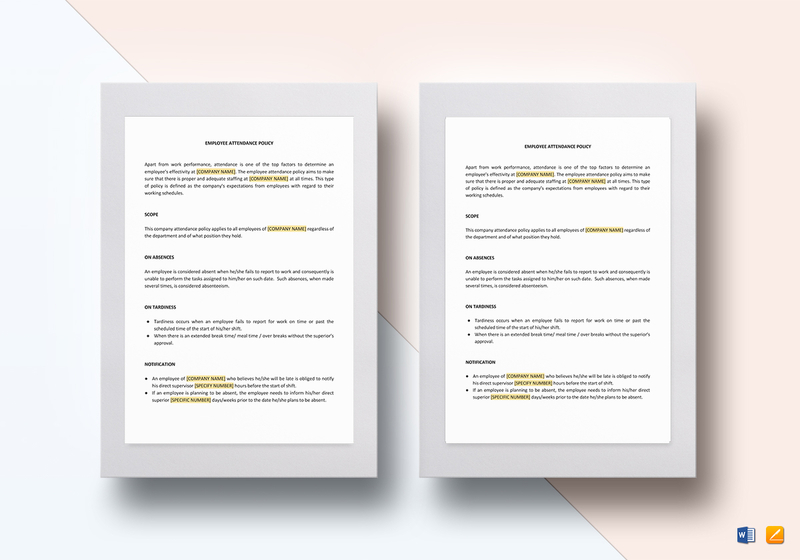 Download this template to format your policy after. 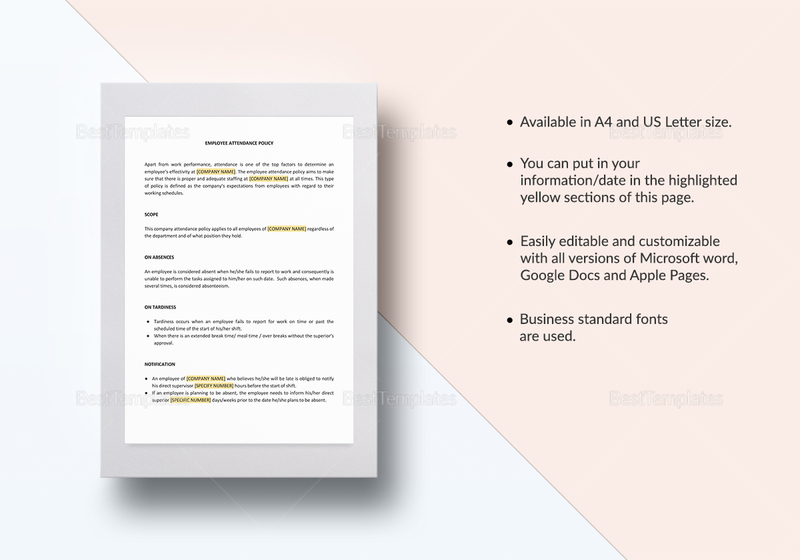 Made available for Microsoft Word, Mac Pages, and supported by Google Docs, simply edit the highlighted areas with important information to create company policy as necessary.